The big is coming up soon. 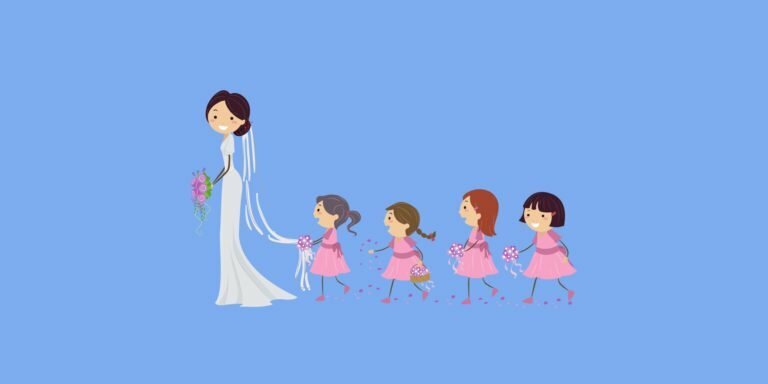 That means some of your best friends and family will be by your side as you tie the knot. 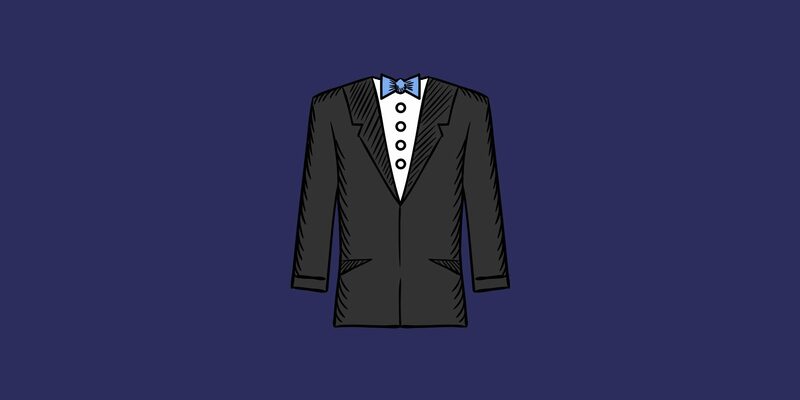 Not all groomsmen are created equal so finding groomsmen gifts for all the guys in your wedding party can be tough. You can either go with a group-specific gift or you can get each groomsmen something unique for them. Whichever way you go, we have some of the best groomsmen gift ideas so you won’t let your boys down. Forget about watery whiskey, bourbon or other drinks. Brotec whiskey rocks stones provide coolness, without adding anything to your drink as ice does: no other tastes or smells, or water to change the taste of your favorite drink. 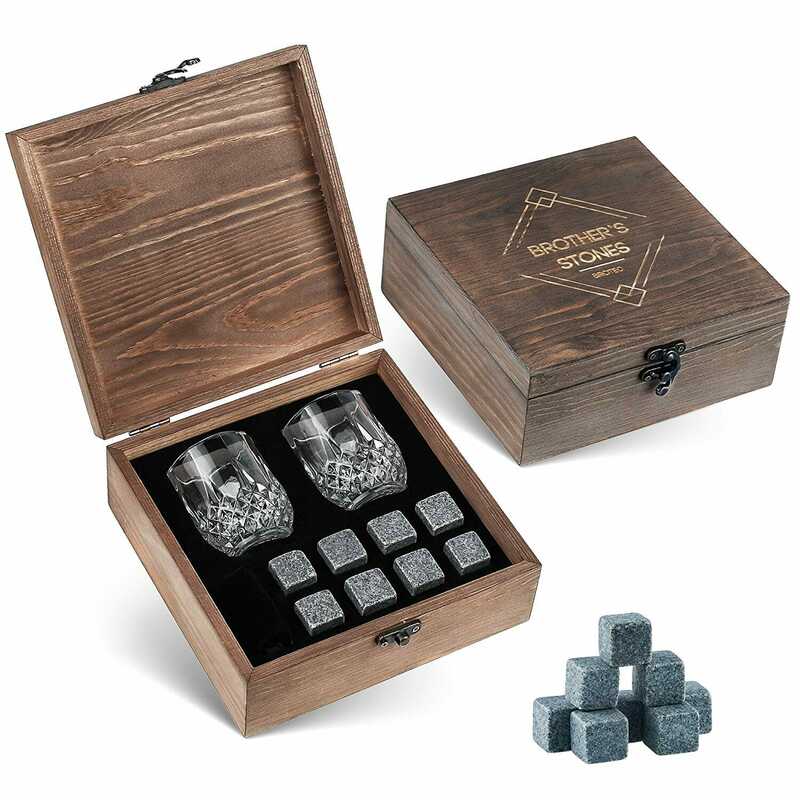 This whiskey groomsmen gift box is made of wood and beautiful addition to any bar. Each men’s wallet is made from Luxury full-grain leather, making it both handsome and reliable for long-term use. Along with a premium texture, these RFID blocking wallets keep “chip” cards, personal and financial information safe from digital scans. 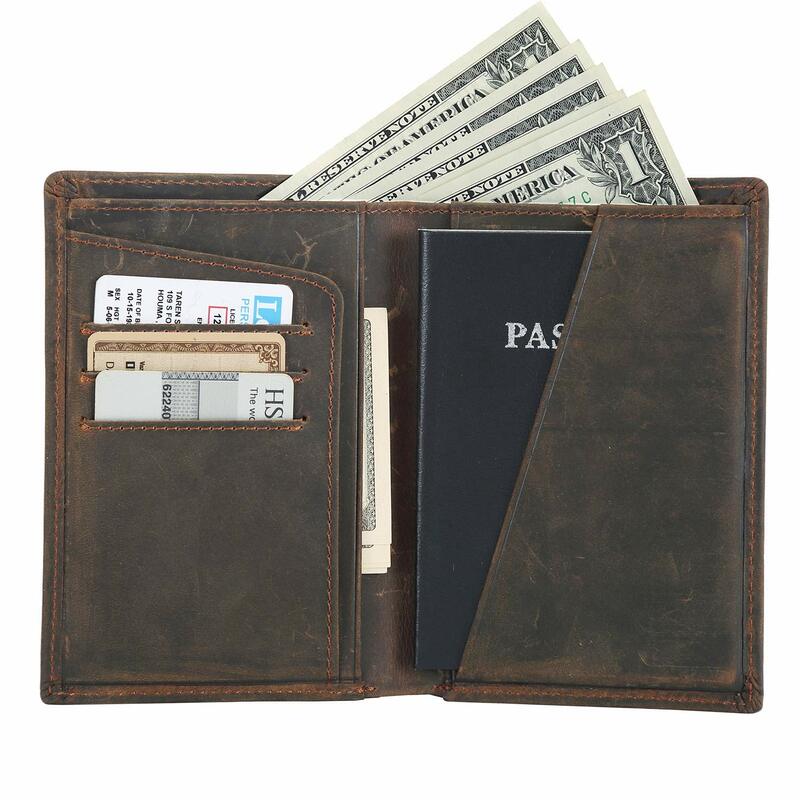 The accessible design provides three card slots, a passports holder slot and a money pocket. The leather is soft and high quality, the stitching is sturdy, and it functions exactly as it should. This dock stand cleans up the tangle of cords on your nightstand, dresser or desk. The handcrafted docking station will hold your iPhone in a horizontal position tucked just behind your Apple Watch. The slot will allow for one or two phones and an iPad with or without any case. The Apple Watch charging puck and cord is perfectly recessed for a clean, finished look and feel. The base of the cord near the charging puck fits snugly with a light press and then removes easily. 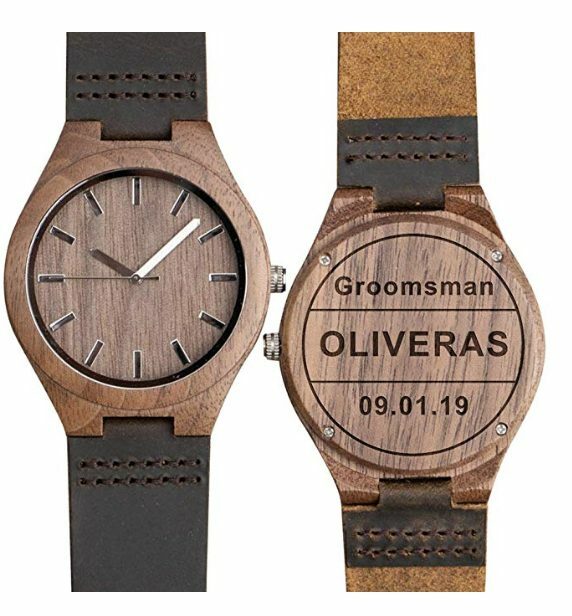 Double Sided Custom Engraved, Eco-friendly Original Wooden Watches, you will have a unique beautifully handcrafted piece of design. They make a perfect gift for all your groomsmen. Each watch comes with a wood gift box for storage sure to impress and suitable the whole crew. A truly unique gift idea. The Mitchell leather credit card holder is styled for the discerning minimalist. Can be used for credit cards or as a business card holder. Made of 100% Leather the two-tone minimalist card case has a debossed logo at corner. Not into this style? There are tons of awesome slim card styles and colors for all types of guys. This pocket knife multitool features a lot of functions to equip him for his everyday adventures! Slip joint allows for easy opening and folding of blade and tools. Engraving color may vary slightly, as each piece of wood is unique. Includes a sturdy, practical keychain loop so you can take your knife with you. 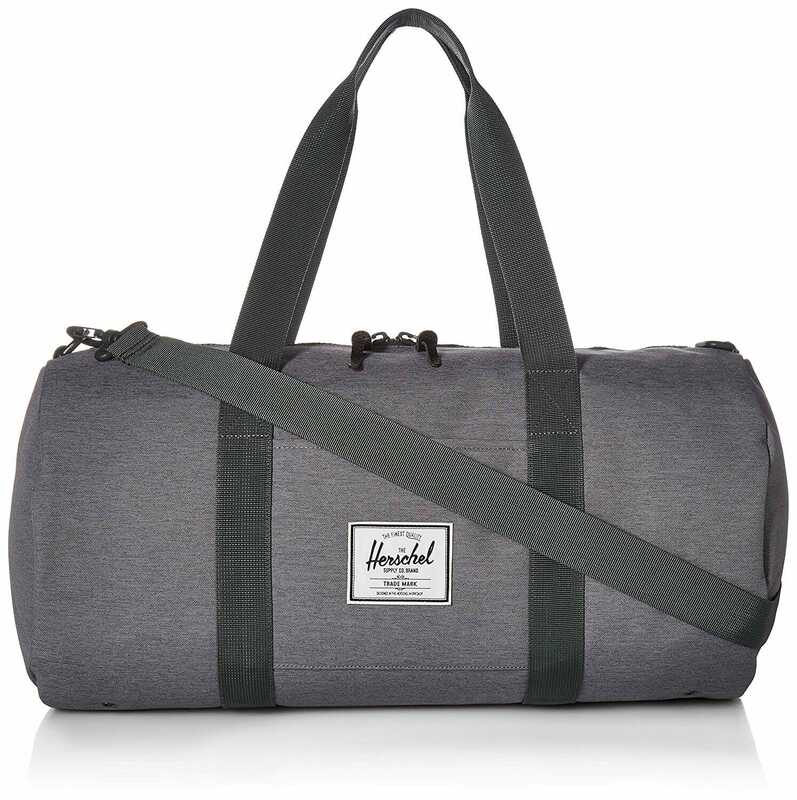 Sized for everyday use and a great light travel bag, the compact Sutton Mid-Volume duffle features long carrying handles and a removable shoulder strap. Has signature striped fabric liner and two-way exposed plastic zipper with pebbled leather pulls. Comes in a few colors to suit all your groomsmen. Use the cleverly crafted hole in the center shaped like a spade to open your cold one. A fun novelty piece is small but powerful and is durable enough to tackle any bottle cap. It’s made of sturdy stainless steel and is the perfect tool for your favorite beer. These are a cool groomsmen gifts for those who are on a budget. Pair it with a six pack of their favorite beer for an awesome gift set. Groomsmen socks are great gifts to give at on your wedding day. Each sock pair comes with a custom label to personalize. Choose groomsmen wedding socks that highlight the color scheme so that the groomsmen socks fit the colors of the wedding. You need to consider which colors you want to be highlighted the most to ensure that the groomsmen socks have the look you want to create. Get the labels here and the socks here. 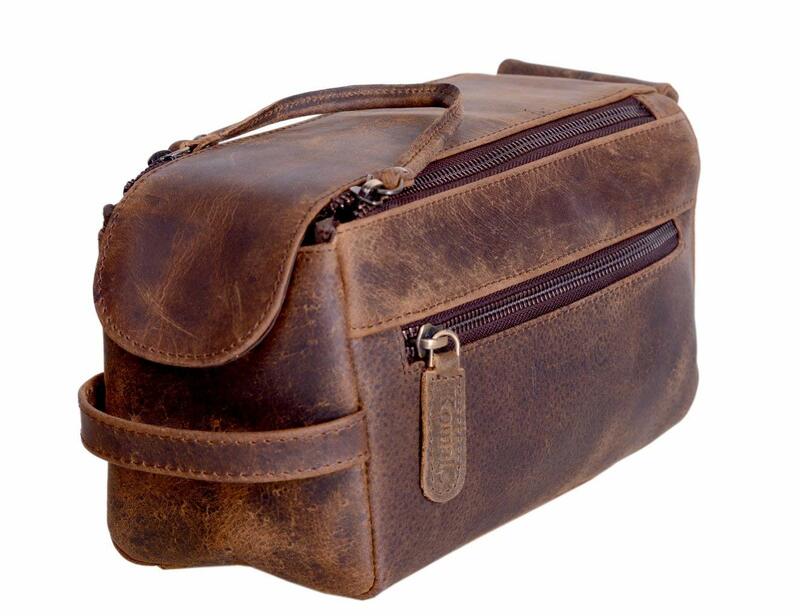 A must have for all travelers and an ideal gift for the guys in your bridal party This toiletry bag is a great and classy way to store your toiletries. Made from the finest buffalo leather and handcrafted by experienced craftsmen. High-end YKK metal Zippers for rich look and durability. Has a water-resistant interior and one external metal zipper for smaller items. A box of meats might an unusual and unique groomsmen gift but we know they will love it (as long as they aren’t vegan) Carnivore Club is the world’s first subscription service featuring premium cured meats delivered to your door every month. Every month Carnivore Club features a new producer of premium cured meats. Carnivore Club has a revolutionary gift check-out process that allows you to select which months your gift recipient will receive their boxes. 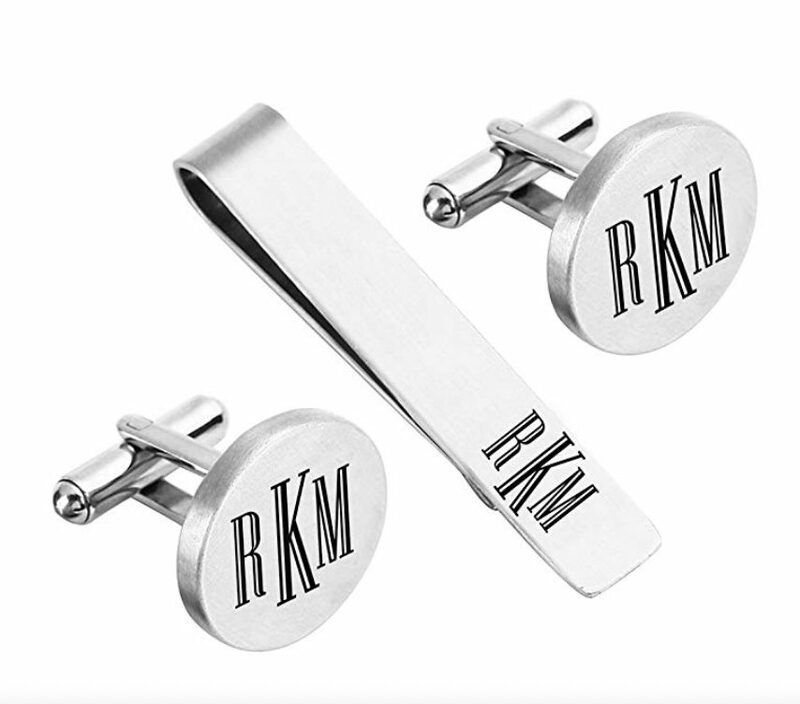 If you have been searching for groomsmen gifts, this set of personalized cuff links may just fit the bill. Steel contrasts with the laser etching on the round front face and gives a polished finish to these classic cufflinks and tir clip. It is a personalized gift that adds that special something to any occasion. Looking for a special best man gift? This engravable classic brushed satin finish case attached to a removable 14” diamond cut curb chain with an easy to clasp spring ring that offers a secure hold. Push button crown conveniently located at 3 o’clock making it much easier to open, read and adjust the time in the palm of your hand. 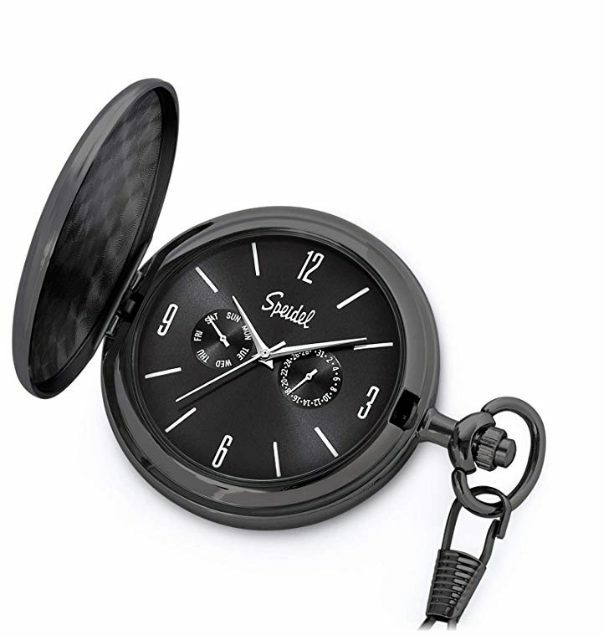 Packaged in a beautiful sleek black box it’s a perfect gift idea for your best man. The cubic elegant design is built to harness the superior acoustic properties of wood to create clear and natural sound. The classic outlook not only fit your home but also a perfect match for your office. Amazing sound experience, produced by a 2.1 channel audio and an enhanced subwoofer for a clean, clear and crisp stereo sound experience. 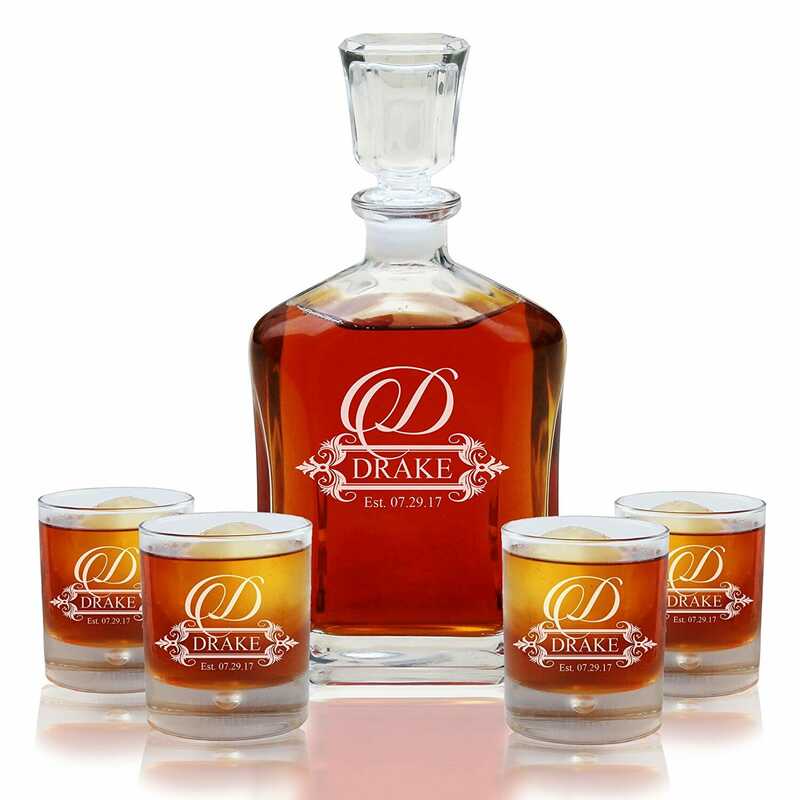 Beautifully engraved Whiskey Decanter Set that holds 23.75 oz of your favorite spirit. Comes with 4 round rocks whiskey glasses that are engraved the same as the decanter so he can enjoy an old fashioned with his favorite whiskey. A unique gift to give to your wedding party on the big day! This holds over 70 beer bottle caps snuggly. Six point design holds caps from craft beer, domestics, imports, and twist offs. Simply push the cap from the back and display your favorite brews. 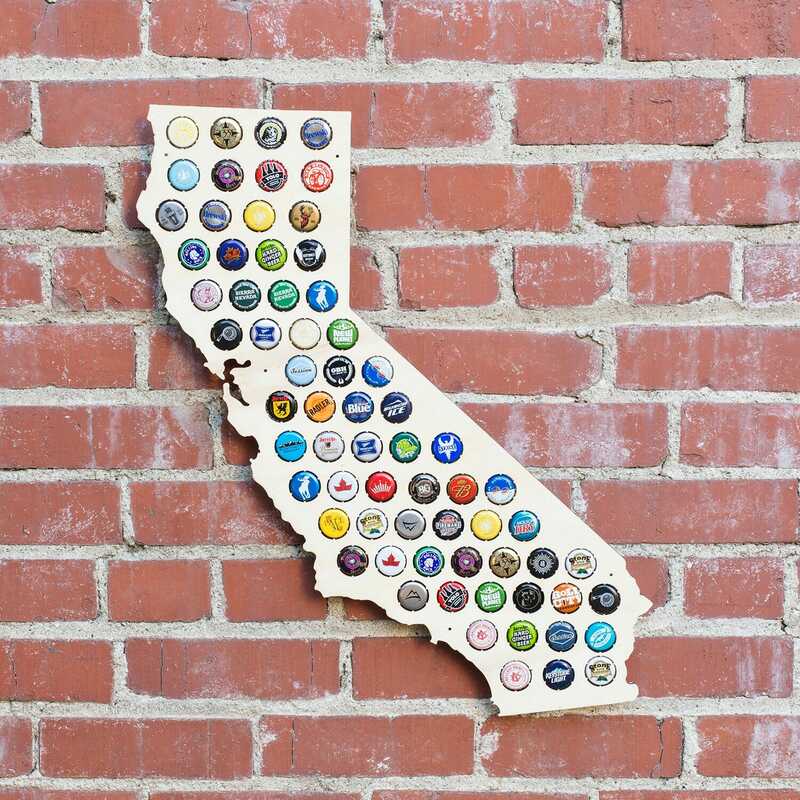 Proudly display your collection of the craft beer caps. It will be the best conversation piece on the wall. Made with high quality 1/4 inch birch. Included nails make hanging a breeze. 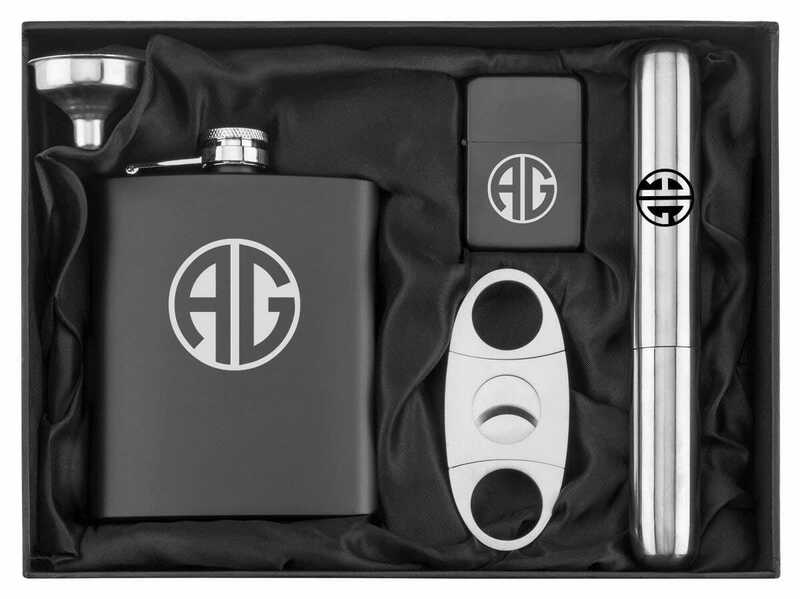 This gift box comes with a groomsmen flask, cigar holder, cigar cutter and lighter. The flasks are discreet and work for many different occasions such as cruises, hotel pools, festivals, and more. They even come with small funnels for easier pouring! If your guys want a classy smoke or a quick drink on the go, this is for them. WARM BEER?! Screw that! What if your favorite beer stayed ice cold to the last drop? These insulated beer glasses have you covered! How? Science, yo. Between 2 impenetrable walls of steel is an air space. Why? Incredible insulation that a true beer fanatic requires. And it’s sweat-free. Warning, beer in mug may be colder than it appears! 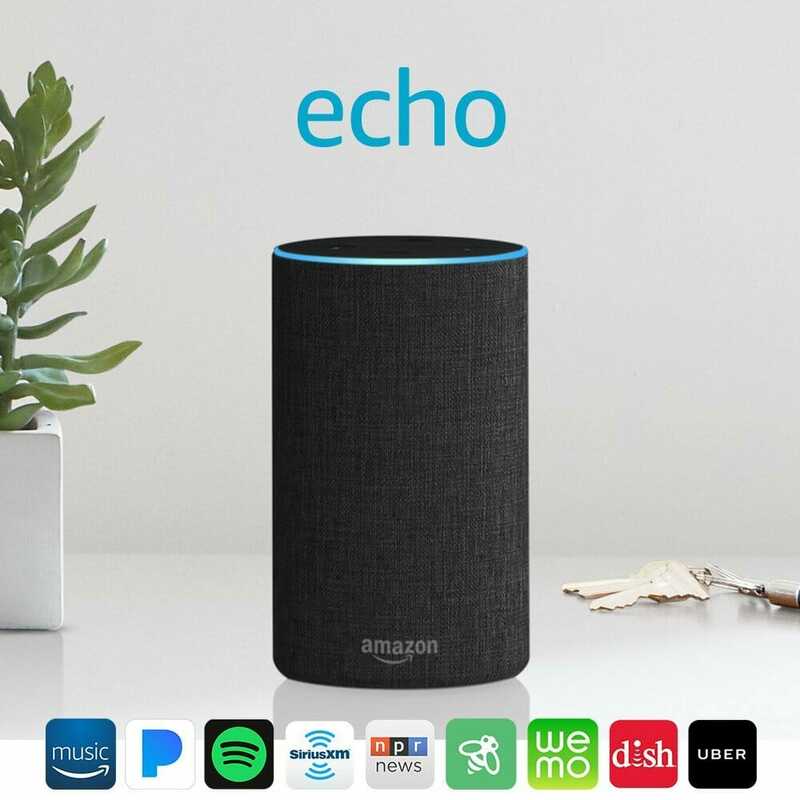 Echo connects to Alexa to play music, read the news, set alarms and timers, answer questions, control compatible smart home devices, and more. Powerful speakers with Dolby technology play 360° audio with clear vocals and dynamic bass response. You can also use your voice to adjust equalizer settings or pair with another Echo (2nd Gen) for stereo sound. Use your voice to turn on lights, adjust thermostats, lock doors, find TV shows, and do more with compatible connected devices. Alexa is always getting smarter and adding new skills like tracking fitness, playing games, and more.